Hey Everyone! Thanks for all your input this afternoon on our Facebook Fan Page about what today's free SVG should be! The tulip suggestions tickled our fancy, so we present to you a lovely Spring Tulip! 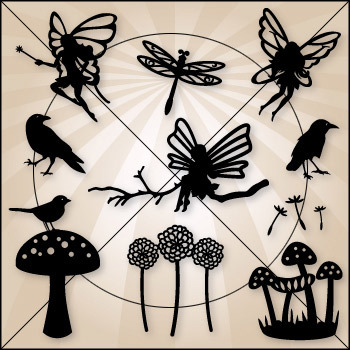 Perfect for happy Springy projects! Three look nice together - cut them in red, yellow, and hot pink. Happy crafting! Great file… Thank you so much. I love the tulips! They are great for spring and Easter pages! Love these tulips! Thanks for such a great file!! I love these tulips. Thank you for sharing them with us! Thanks so much! I love tulips! Thanks so much for these cute tulips!! 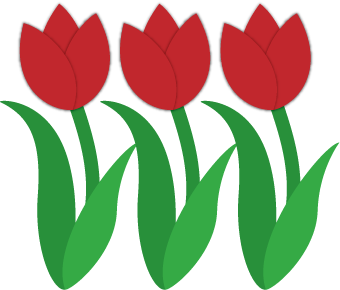 The tulip is a sign of spring for me :) I think I’ll use this with the fence from the moonlight party svg – awesome!! Love the tulips! You guys always do the best SVG files! Can’t wait until I have some extra cash and can buy one or more of your sets! Love the tulips and your svg files and videos always come to the rescue. TFS! Such pretty flowers — TFS! Thank you for the pretty tulips!